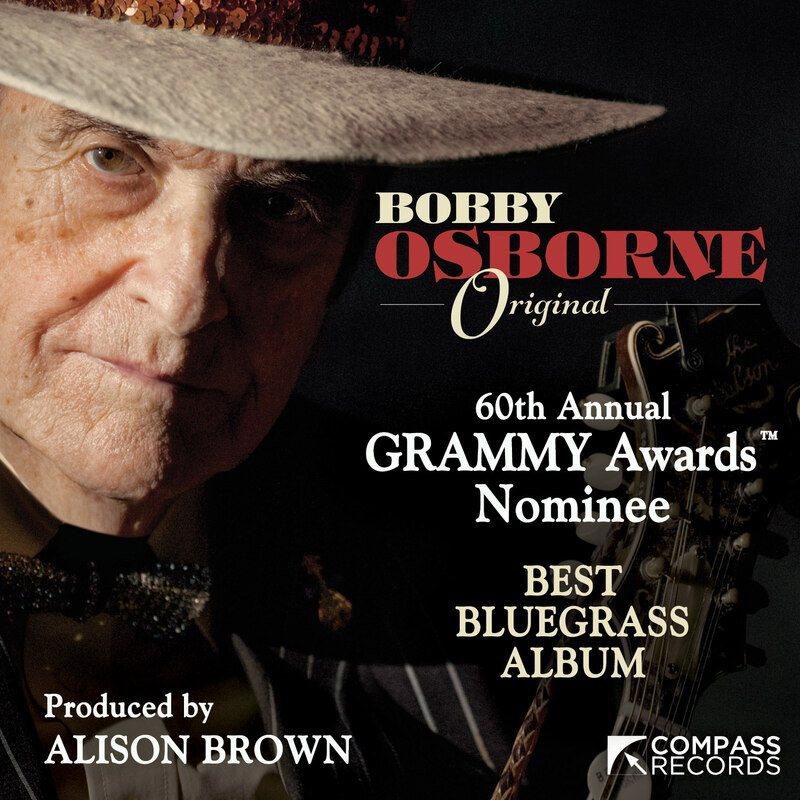 Bobby Osborne's Grammy nomination celebration — his 2017 record "Original" is up for Best Bluegrass Album — may be delayed a day or two, but it will be no less ardent. Monday night, the 85-year-old bluegrass legend was hospitalized after a fall at home resulted in three broken ribs. He was still in the hospital Tuesday morning when he learned of his Grammy nomination. "It was such a surprise for me to hear, especially in here," Osborne said. "I didn’t expect to ever get anything like (that nomination) in my lifetime."